Darién, as this entire eastern-most region of Panama is called, is perhaps the most diverse and species-rich region of Central America. 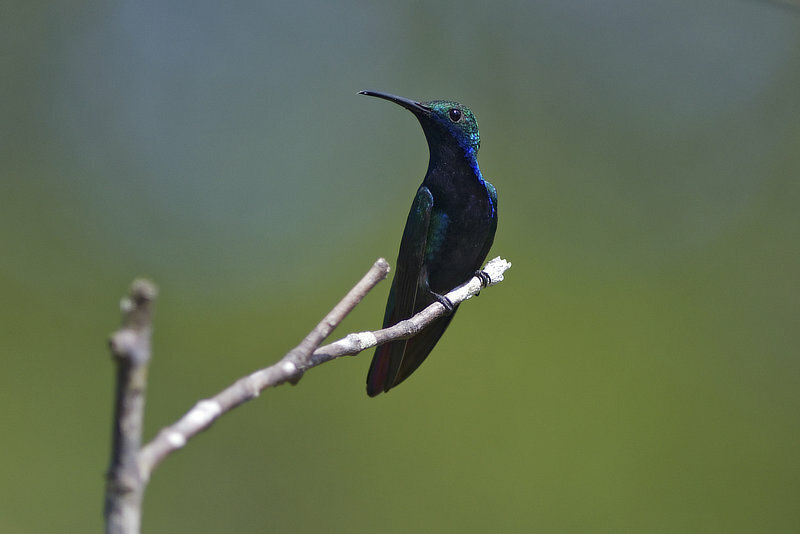 Long coveted by avid birders as an impenetrable haven for rare species, this region is now readily accessible by a highway extending through the spine of Panama right into the heart of this bird-rich land. 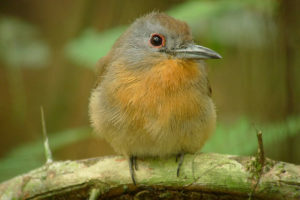 During this exciting, highly recommended 7-night adventure, we visit, en route to the Canopy Camp, the Bayano Reservoir, to look for such specialties as the starkly beautiful Black Antshrike, Rufous-winged Antwren and stunning Orange-crowned Oriole. 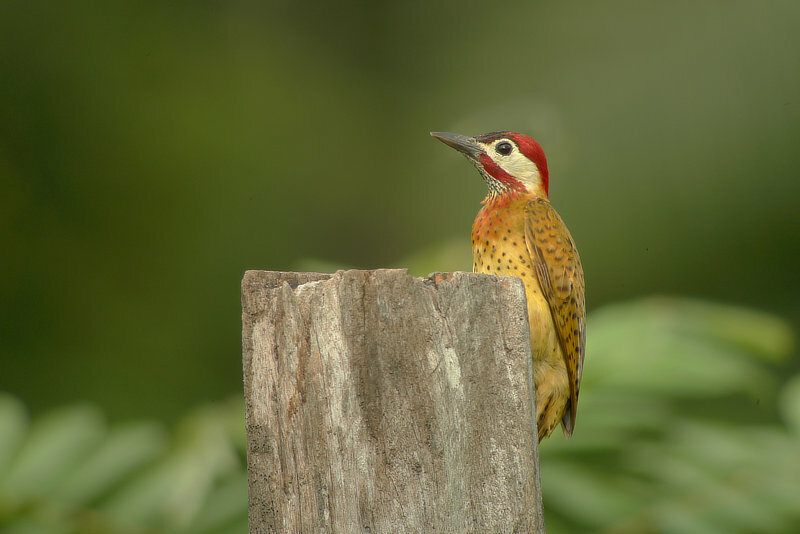 In Darién, we visit large tracts of mature lowland rainforest to seek out Rufous-winged Antwren, Bare-crowned Antbird and Golden-green Woodpecker; and the swampy meadows along the Pan-American Highway, the haunts of the magnificent Spot-breasted Woodpecker! 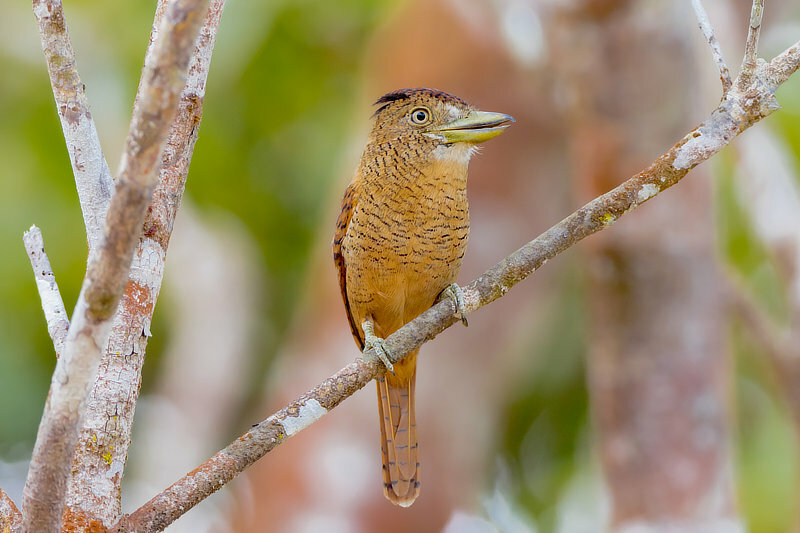 We will enjoy great birding on this Panama wildlife tour through the mature secondary forests, tranquil lagoons and riversides of this region, where we hope to get excellent views of Stripe-throated Wren, Black-collared Hawk, Black-capped Donacobius, Yellow-hooded Blackbird, Large-billed Seed-Finch and others. 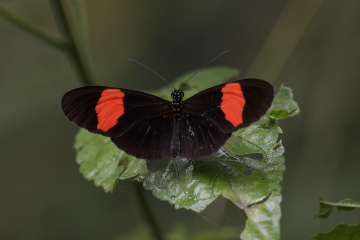 After each Panama wildlife tour, we will spend all our nights at Canopy Camp Darien, where we will enjoy comfortable, large, safari-style tent accommodations, each with full-size beds, private bathroom facilities with refreshing showers, flush toilets, electricity from solar panels, and fans. The protected forests of the Filo del Tallo Hydrological Reserve surround the camp. 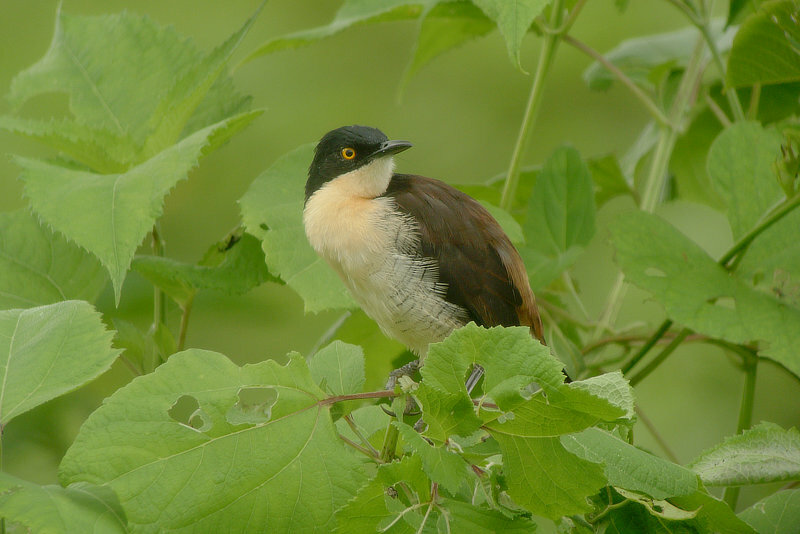 In the vicinity of the camp itself we will enjoy such regional specialties as Gray-cheeked Nunlet, White-headed Wren, Rufous-tailed Jacamar and Pale-bellied Hermit right in the gardens! 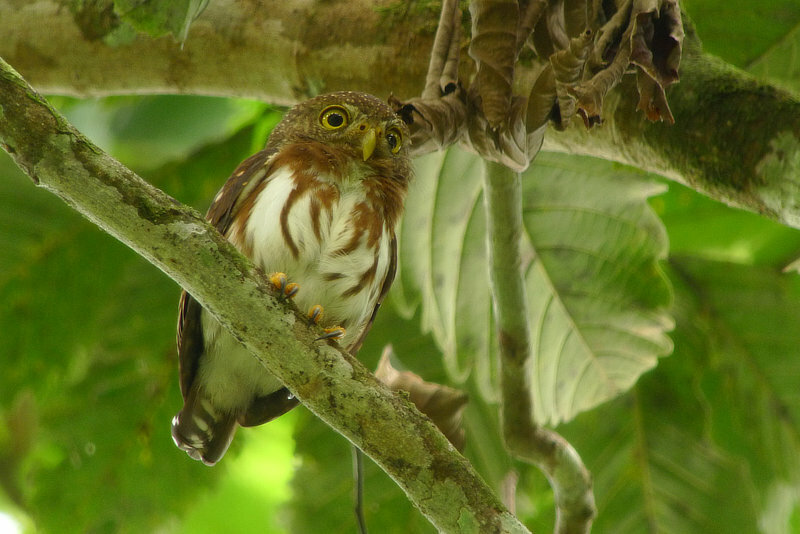 This Panama wildlife tour offers other surprises, such as Spectacled Parrotlet, Dusky-backed Jacamar, Double-banded Graytail, King Vulture and the majestic Harpy Eagle! 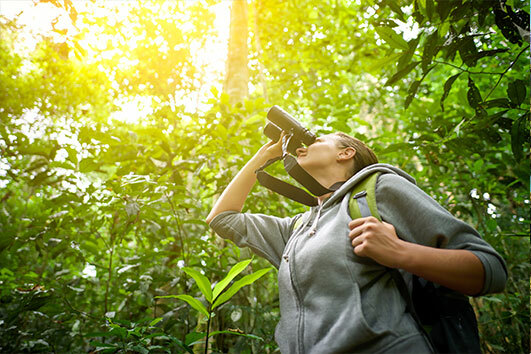 You are sure to have the birding adventure of a lifetime! 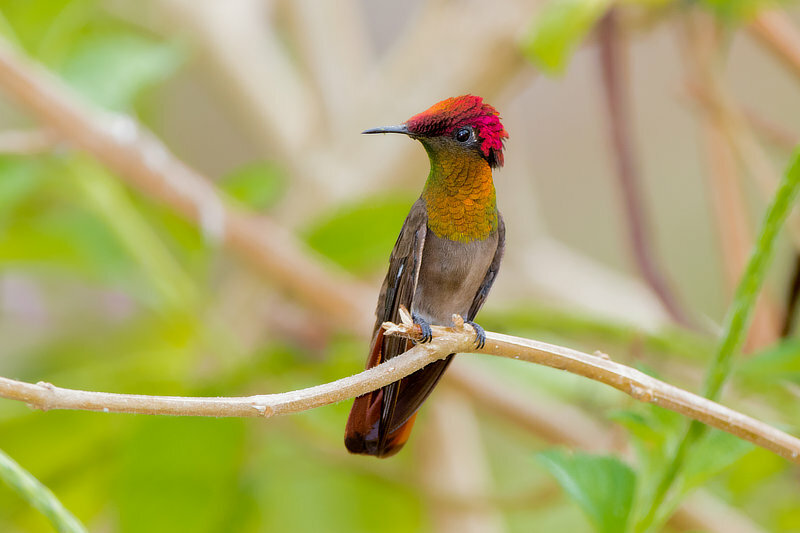 On the first night of this Panama wildlife tour, accommodations will be at the Riande Aeropuerto Hotel in Panama City. Your guide will meet you bright and early (around 6:30 am) in the hotel lobby the next morning to head to the Canopy Camp, where you will stay for the following 6 nights. 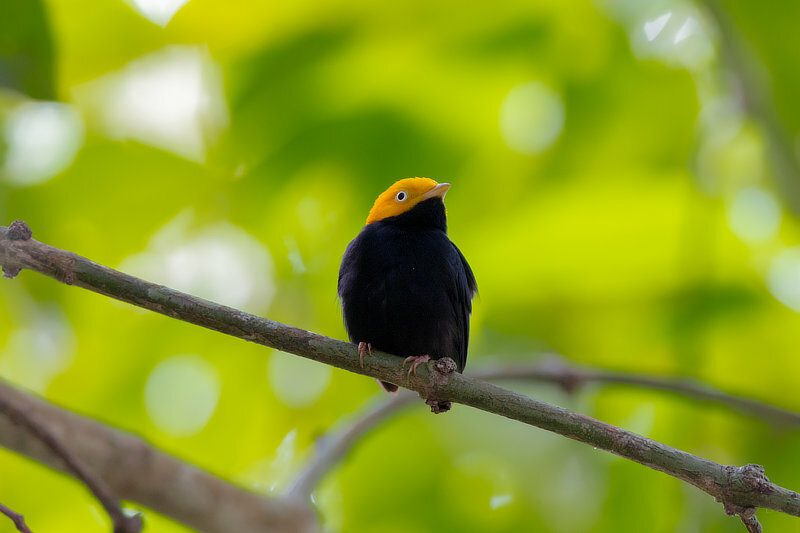 This is an all-inclusive tour with a full activity itinerary—daily morning and afternoon guided birding trips are included for the full duration of your Panama wildlife tour. The tour finishes mid-afternoon on the last day in Panama City. Darién is truly an adventurous region of the world, so expect the unexpected and be prepared for excitement around every corner! Our guides know this region very well, where to find the regional specialties that live here and how to dodge the ever-changing conditions of the region from season to season. The itinerary, therefore, is very flexible to our guests’ desires and targets and current conditions. Some sites are accessible year-round, while others are only worth visiting and accessible during certain seasons. Regardless, our guides and staff are bound to show you many, many birds and a great experience in the wilderness of Darién! Darién is a stronghold for Harpy Eagles and other large forest raptors, and holds Central America’s largest population of this rare and majestic bird. If there is a site available to visit, whether it be a nest site or a fledged juvenile in a reliable location, it will be included in the itinerary. We can keep you informed as your trip gets closer. Please consider that we can never guarantee the sighting of a Harpy Eagle (or anything in nature), even at a reliable site, but we will be sure to try if there is a chance! If there is no nest site or juvenile bird to visit, there is still always the chance to come across a Harpy Eagle during your stay. 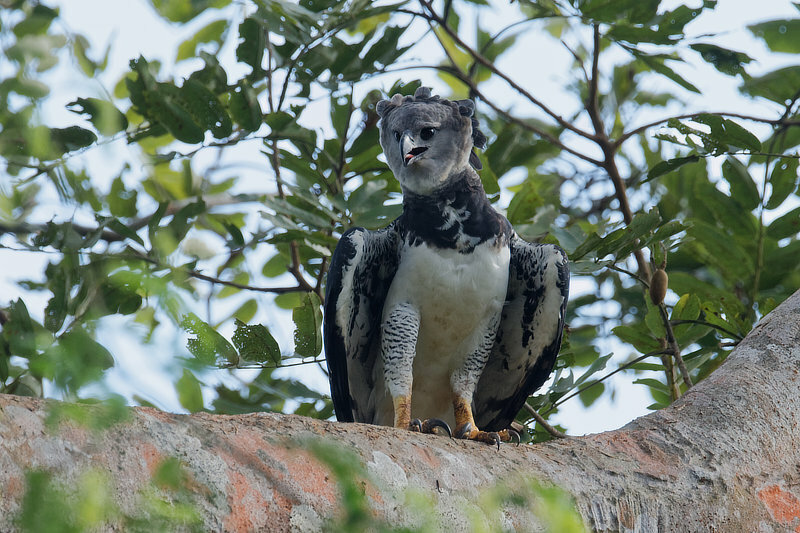 Over the past few years, we have had Harpy Eagle sightings at several of the birding sites we visit, including a few times at the Canopy Camp itself! 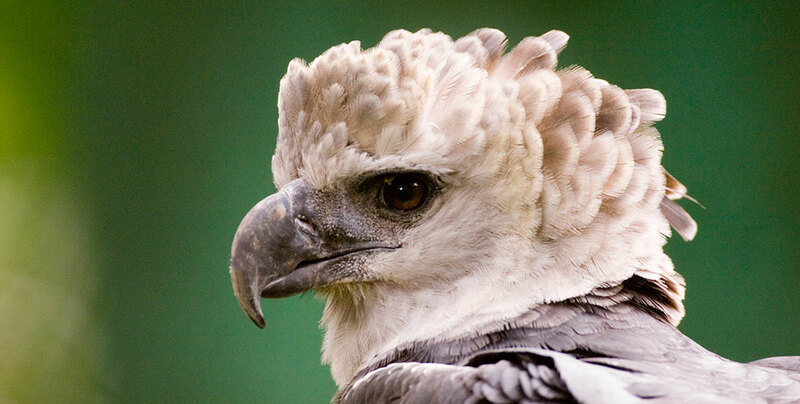 The Harpy Eagle is our target for the day! Today we will start very early, long before sunrise, and drive to Yaviza, at the end of the Pan-American Highway. Arriving at dawn in Yaviza, we will board a “piragua”—a dugout canoe, and traverse the still waters of the Chucunaque and Tuira rivers. The river edges offer shrub and grass habitat, as well as mudflats and beaches depending on the water level. There are plenty of birds to see along the riverside: Neotropic Cormorant, Anhinga, Great Blue, Cocoi, Little Blue, Tricolored, Striated and Capped herons, Snowy Egret, White Ibis, Green Ibis, Yellow-crowned Night-Heron, Pied Water-Tyrant, Bronzed Cowbird, Yellow-hooded Blackbird and both Crested and Black oropendolas. White-tailed Kite, Black-collared Hawk and Common Black-Hawk may be found cruising overhead. Upon arrival in El Real, we can scan the open areas for Spot-breasted Woodpecker and Great Potoo. We will meet a local truck and head south out of town past the airstrip, to the trailhead toward the border of Darien National Park! This trail is wide, traversing through lowland rainforest and alongside a river. If very lucky, we may see Harpy Eagle or Crested Eagle, both of these magnificent raptors roam the dense forests here. Hopefully with some success this morning, we can rest and have a picnic lunch in the field, and continue to bird along the trail. 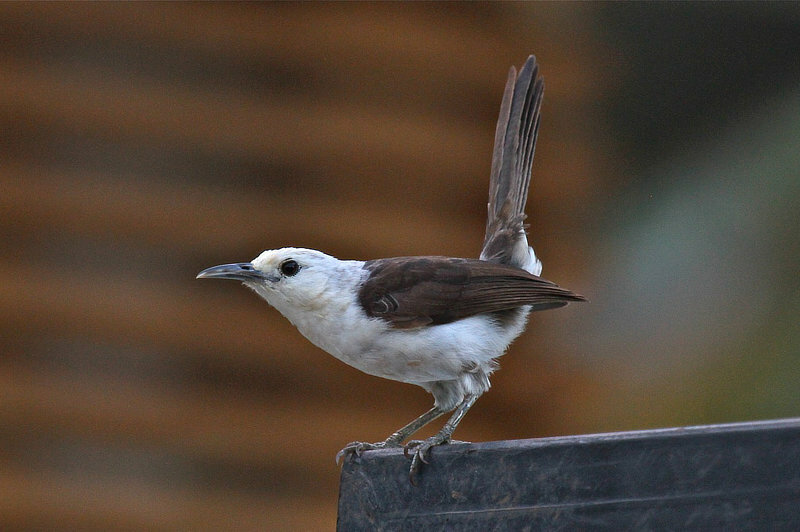 Other large forest eagles, including Ornate Hawk-Eagle and Crested Eagle, can also be found in the area, as well as Gray-cheeked Nunlet, White-fronted Nunbird, Green-and-rufous Kingfisher, Agami Heron, Red-throated Caracara, Chestnut-backed Antbird (the eastern Panama race shows white dots on the wings), Chestnut-fronted and Great Green macaws, Scarlet-browed Tanager and more. After lunch and a break, we will retrace our steps and start our way back to El Real, then head back to Yaviza by river. Along the Pan-American Highway, we can scan for bird activity as the sun sets in the horizon. 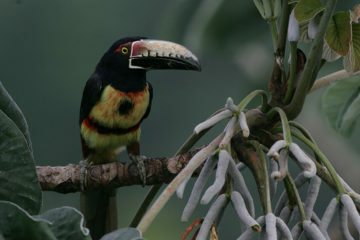 Yellow-throated and Keel-billed toucans call from the towering Cuipo trees; Red-lored and Mealy parrots fly overhead; White-bellied Antbird, Bright-rumped Attila, White-headed Wren and Golden-headed Manakin sing from the surrounding forests; while Pale-bellied Hermit and Sapphire-throated Hummingbird visit the flowers around camp. 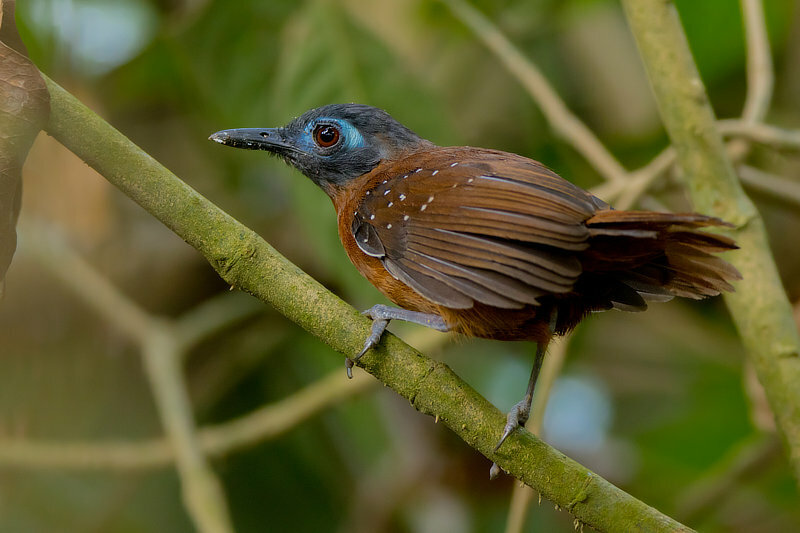 Rufous-tailed Jacamar and Barred Puffbird are also seen frequently around the grounds. We will work our way into the forest on “Nando’s Trail,” in hopes of finding Tiny Hawk, Black Antshrike, Great Antshrike, Olive-backed Quail-Dove, Cinnamon Becard, Black-tailed Trogon, Double-banded Graytail, Gray-cheeked Nunlet, Yellow-breasted Flycatcher, Royal Flycatcher and Russet-winged Schiffornis. We will also be looking for groups of Red-throated Caracara, King Vulture and Short-tailed Hawk overhead in the clearings. 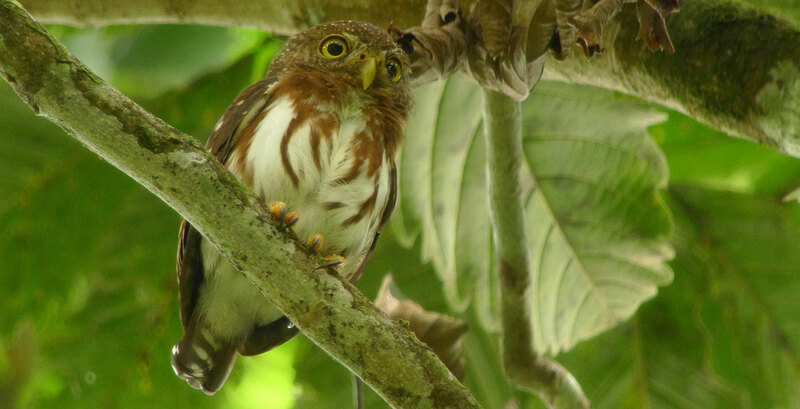 Ornate Hawk-Eagle, Plumbeous and Zone-tailed hawks are also possible. 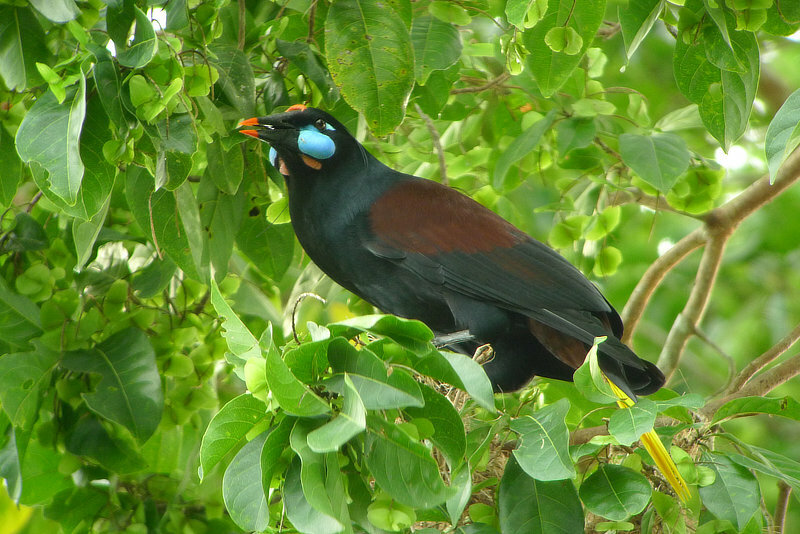 On this Panama wildlife tour, we eagerly explore the open areas and mixed forests of the area of Lajas Blancas. Lajas Blancas is the closest Embera Indigenous community to the Canopy Camp, a large community with a population of over 1000 residents. 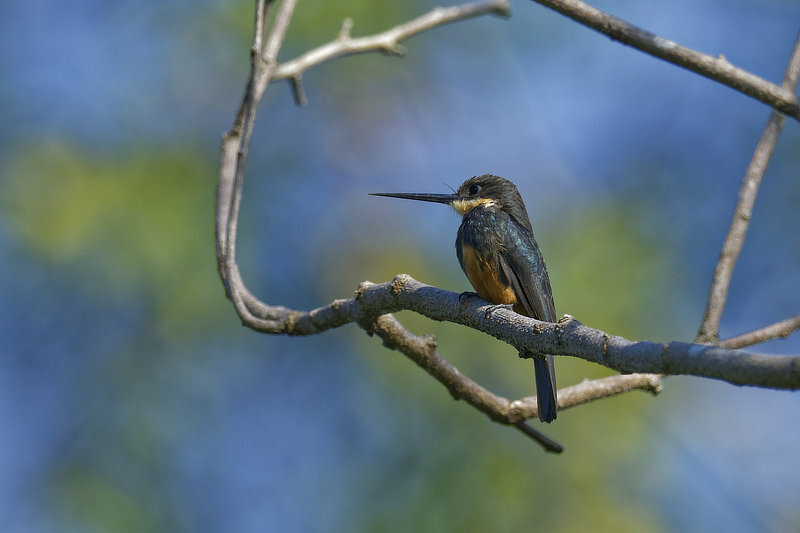 Just 15 minutes away, the area around the community boasts great birding and the opportunity to find many Darien specialties! After turning off the Pan-American Highway, we drive through pasture and open farmland—a great place to see One-colored Becard, Great Potoo, Spot-breasted Woodpecker, Yellow-crowned Tyrannulet, Yellow-breasted Flycatcher, Black Antshrike and Black Oropendola. During the dry season, a bridge across the Chucunaque River provides us easy access to some mature secondary forest where Double-banded Graytail, Rufous-tailed Jacamar, White-winged and Cinnamon becards, Cinnamon and Golden-green woodpeckers, manakins and others can be found. Beyond the community, the road continues and there is much more forest, including primary forest at its far reaches, waiting to be explored on your Panama wildlife tour. 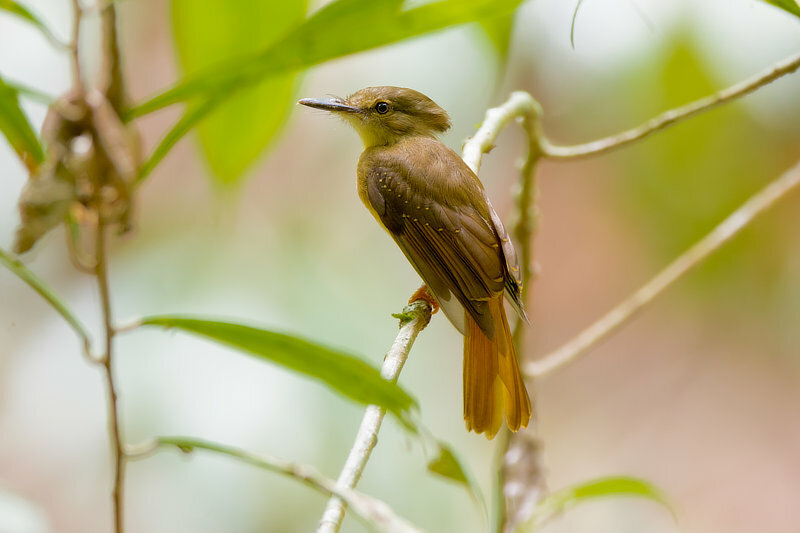 We are off to Nuevo Vigia, an Embera indigenous community nestled north of the Pan-American Highway, surrounded by great secondary growth dry forest and two small lakes, all of which attract an enticing variety of birds. The community is accessible by “piragua”, locally-made dugout canoes. As we coast along the Chucunaque and Tuquesa Rivers, we will keep our eyes and ears open for Chestnut-backed, Crested and Black oropendolas, Spot-breasted Woodpecker, Common Black Hawk, Yellow-tailed Oriole, Red-billed Scythebill, Capped and Cocoi herons, White Ibis, Greater Ani, Solitary Sandpiper and other water birds. We will spend the majority of the morning birding a trail toward a small lagoon, a great place to see Black-collared Hawk, Bare-crowned and White-bellied antbirds, Green Ibis, Gray-cheeked Nunlet, Spectacled Parrotlet, Black-tailed Trogon, Striped Cuckoo, Black-bellied Wren, Little Tinamou, Golden-green Woodpecker and Green-and-rufous Kingfisher! In the town of Nuevo Vigia, local artisans weave colorful decorative masks and plates out of palm fronds and carve cocobolo wood and tagua nuts into animals and plants, and we will have the opportunity to meet some of the community members and admire and purchase some of the beautiful products they make by hand. We will enjoy a satisfying picnic lunch in the village, followed by more great birding around the riversides and scrubby habitat surrounding Nuevo Vigia before heading back to the Canopy Camp. 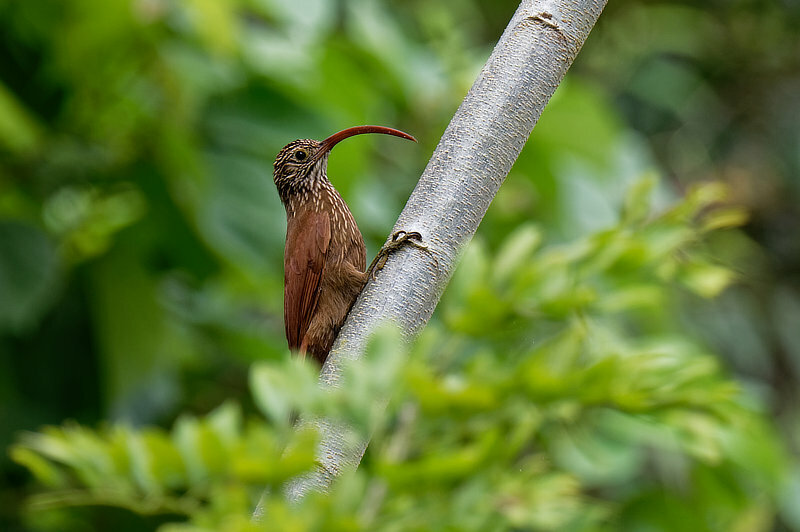 Our Canopy Camp in Darién, Panama is a birder’s paradise. The protected Darién jungle provides a stronghold for Great Green Macaw, Great Curassow and the majestic Harpy Eagle, Panama’s national bird, as well as other endangered wildlife including Colombian Spider Monkey, Baird’s Tapir and America’s most powerful cat, the Jaguar. 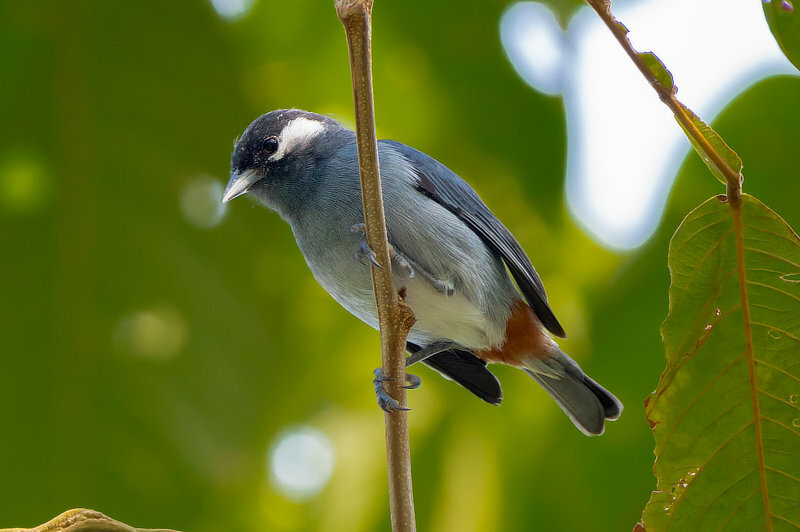 Some of Panama’s endemic species, such as the Pirre Warbler, Pirre Bush-Tanager and Beautiful Treerunner, are only found here in the far reaches of the Darién Province.